IDB • Bantmas Charity Donation and IDB Survey 2018! Thank you to everyone that donated or bought merch from the Redbubble shop during December! 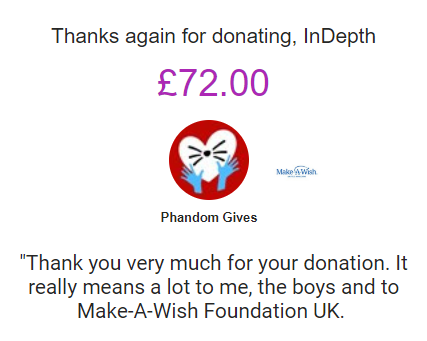 Half of what was raised will go toward forum expenses for 2019, and the other half has been donated to PhandomGives! We're doing the IDB Survey again! It's just a fun four question form to give us an idea of the demographics of the forum. Click here to fill it out! We'll keep it open for about two weeks, and then post the survey results.